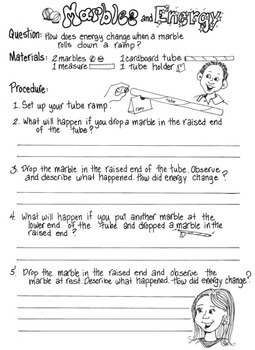 Students observe the movement of marbles rolling down a cardboard ramp to plan and conduct an investigation about how energy changes. 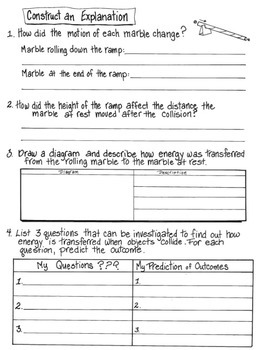 The assessment begins with a whole class review of kinetic and potential energy with a class observational activity. 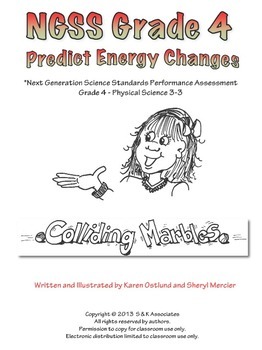 Science Notes are provided for them to read and apply to the next individual assessment in which they change the energy and speed of a marble down a ramp that collides with another marble. 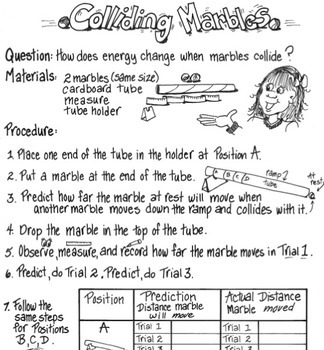 Finally, students create their own investigation questions and predict outcomes of changes in energy of colliding marbles. Teaching tips, teacher background, photos for set up, student recording pages, rubrics for scoring, and Science Notes for reading are included.